A great find with Bonnie while on our way to have lunch at UMAMIcatessen in downtown LA. 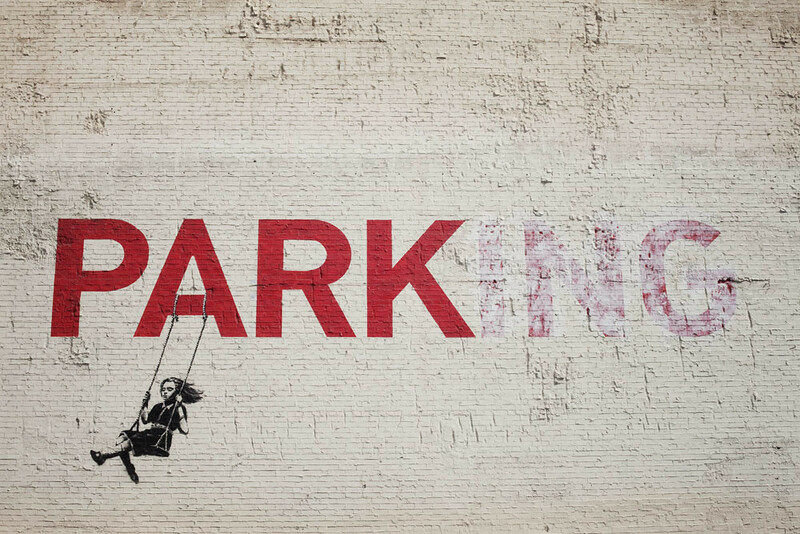 It's a Banksy! Seriously...we need less parking lots and more parks.